The children looked at the patterns and imagery adorning West African tribal masks, before creating their own striking examples. 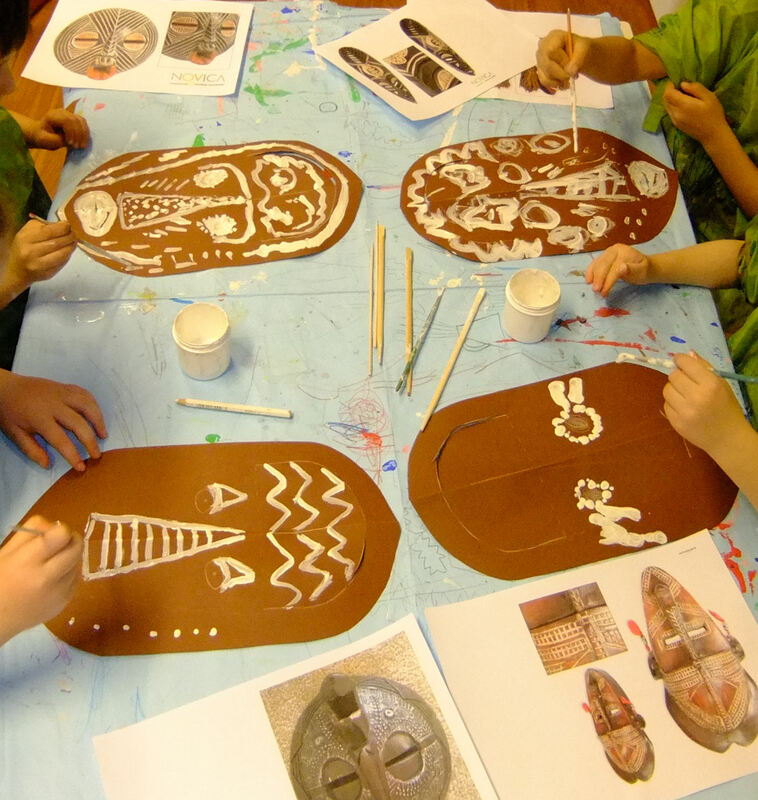 Each child was given a mask shape cut out from brown paper, which they carefully decorated with intricate patterns in white paint, even using the wooden tip of the brush handle to add patterns of dots. Finishing touches were added by stapling ‘fringed’ offcuts of white fabric to represent hair and beards.